This billboard on Sunset Blvd. in Hollywood is just a stone’s throw from the glitzy intersections of Sunset & Vine and Hollywood & Vine. CBS Outdoor, which says it has 1,628 billboard structures in Los Angeles, recently announced that it would be offering “text message advertising” as part of its outdoor advertising services. According to a company statement, people with cell phones can access special offers and promotions through a code on a billboard. The propriety–and legality–of texting while sitting at a traffic light was not addressed by the press release. Or maybe CBS intends this marvelous new service only for passengers. 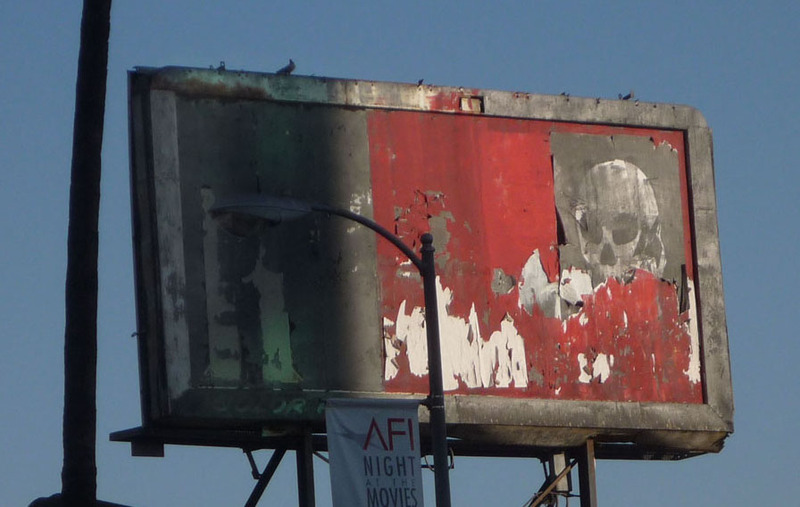 CBS Outdoor, which had worldwide revenues of $2.17 billion in 2008, generally does a poor job keeping its conventional billboard structures free of rust and graffiti. 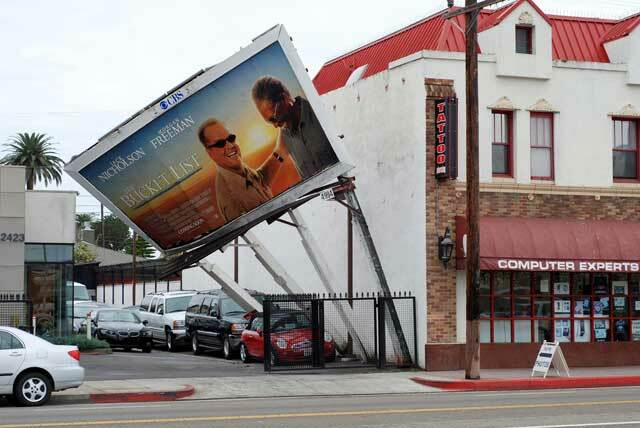 Below is a CBS billboard that actually collapsed on top of parked cars last year.